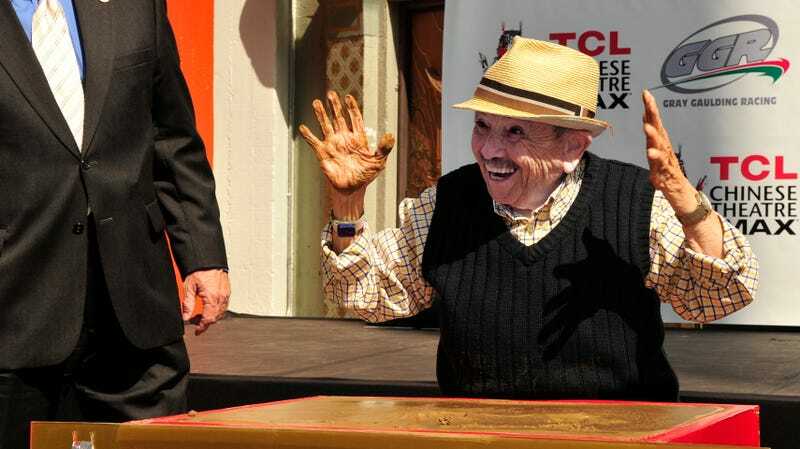 Jerry Maren, the last living member of the group of actors who played the Munchkins in the 1939 classic The Wizard Of Oz, has died. An actor, stunt performer, and advocate for little people in Hollywood, Maren was a born performer, taking the stage at the age of 13, and continuing to act and make public appearances well into his ’90s. Outside his acting work, Maren was also an advocate for little people, helping his friend Billy Barty co-found the organization Little People Of America in 1957. But he never shied away from his part in Hollywood history, either; at one of his final public appearances, in 2013, he appeared at TCL Chinese Theatre (formerly Grauman’s) to place his hands and feet in the theater’s famous concrete. Maren reportedly died earlier today, of congestive heart failure. He was 98.